See the show that sold out from Adelaide to London, Toronto to Vancouver, and San Francisco to Orlando, to name a few. Meet America's favourite wise-cracking psychic detective. Murder! Magic! Explosions! Hyperbole! Punctuation!!!!!!! 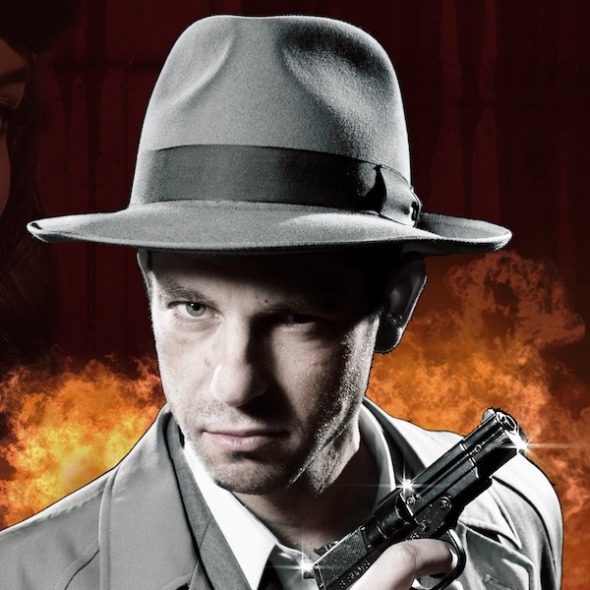 !&#@ Wowing crowds the world over, this hilarious gumshoe is part comedy, part mind-reading, part magic, and all gritty retro 1930‘s film-noir think Boardwalk Empire meets Naked Gun meets Derren Brown. Based on a classic crime story by Dashiell Hammett, follow self-deprecating film noir detective Dirk Darrow as he navigates a trail of bodies to solve a robbery. With jokes.